Naomi Watts refused a date with Tom Cruise! 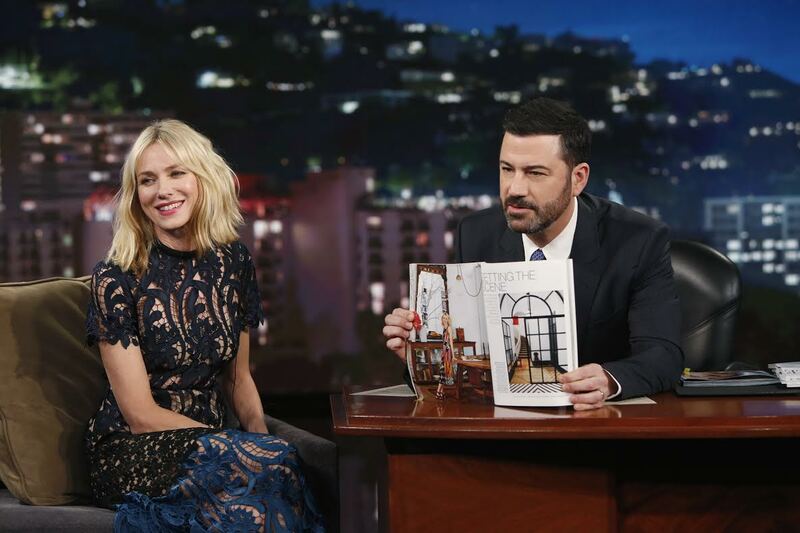 When Oscar Nominee Naomi Watts stepped on to Jimmy Kimmel Live!yesterday, she had little idea of what lay ahead for her. On the episode which will air in India tonight on Star World and Star World HD, the show’s titular host, Jimmy Kimmel upheld the time-honoured tradition of digging up the celebrities’ old commercials. The commercial in this particular incident was for Tom Meats, a meat company in Australia. In the spot Watts picks up a phone to learn that she won a dinner date with Tom Cruise in a radio contest. However, she decides to turns it down. Why? She already has plans: Her mom is cooking a lamb roast from Tom’s Meats. “You can go out with him any night,” her father in the commercial agrees. That must have been some roast! That’s not it, though. Naomi actually revealed that she was Vegetarian at that time! She also said that Tom was aware of the commercial’s existence. The episode airs tonight at 11pm on Star World and Star World HD.